Dr. Laura Prager is an associate professor of psychiatry (Child Psychiatry) at Harvard Medical School and the director of both the Child Psychiatry Emergency Service and the new Transitional Age Youth Clinic at Massachusetts General Hospital. She also serves as the psychiatrist for the Massachusetts General Hospital Lung Transplant Team and for the Turner Syndrome Clinic. She is on the editorial board of the Journal of the American Academy of Child and Adolescent Psychiatry and of Psychosomatics. 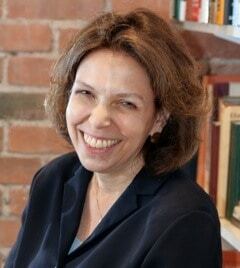 Dr. Prager is the co-author of Suicide by Security Blanket and other stories from the child psychiatry emergency service (2012) and has authored or co-authored articles in The Harvard Review of Psychiatry, Psychiatric Times, Journal of the American Academy of Child and Adolescent Psychiatry, Journal of the American Medical Association, as well as chapters in books published by Mosby, Elsevier, and the American Academy of Pediatrics. Dr. Prager has won numerous teaching and mentoring awards from the Department of Child and Adolescent Psychiatry at Massachusetts General Hospital.